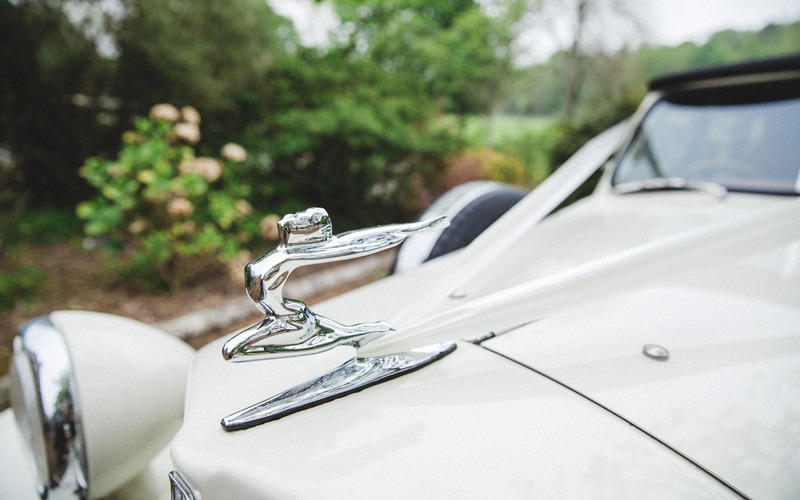 A true classic in every possible manner, our vintage 1930’s Ivory Beauford Bridal Car is in immaculate condition. Oozing with style, class, and sophistication, she is still the queen of the roads as she was all those decades ago. For your special day, we dress her up with ribbon decorations which are available in a vast choice of colors of your choosing. No car can be more perfect for your wedding day! 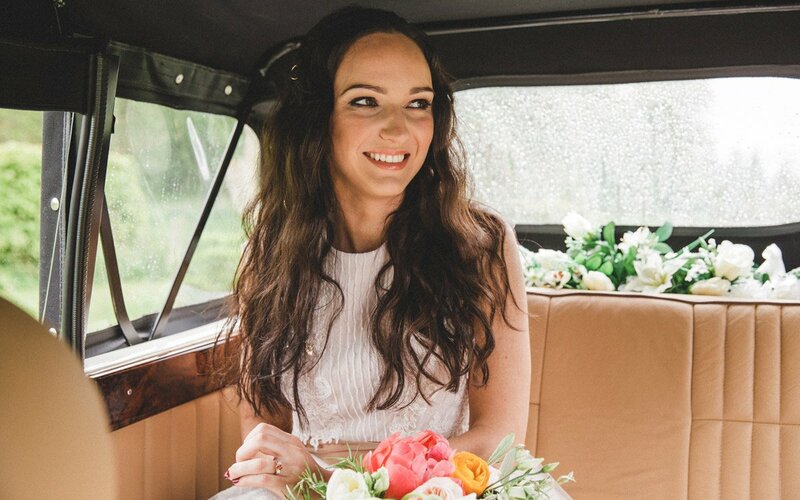 Glasgow Wedding Car’s impressive four-door long-wheelbase convertible Beauford Tourer has been designed with the bride and groom in mind. It has extra leg room for the comfort of the newlywed couple, allowing for a comfortable ride as they start their happily-ever-after journey together! 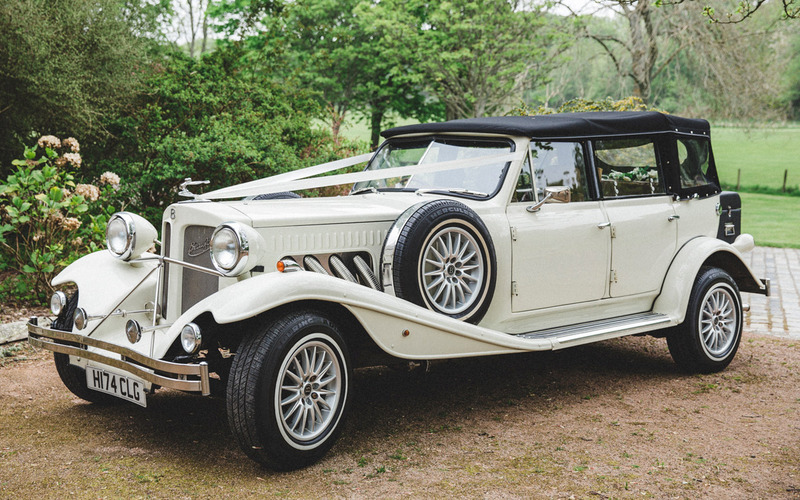 The convertible feature allows the Beauford to be perfect for weddings throughout the year. Depending on the weather, we can remove the hood or the rear side windows and keep the roof up. 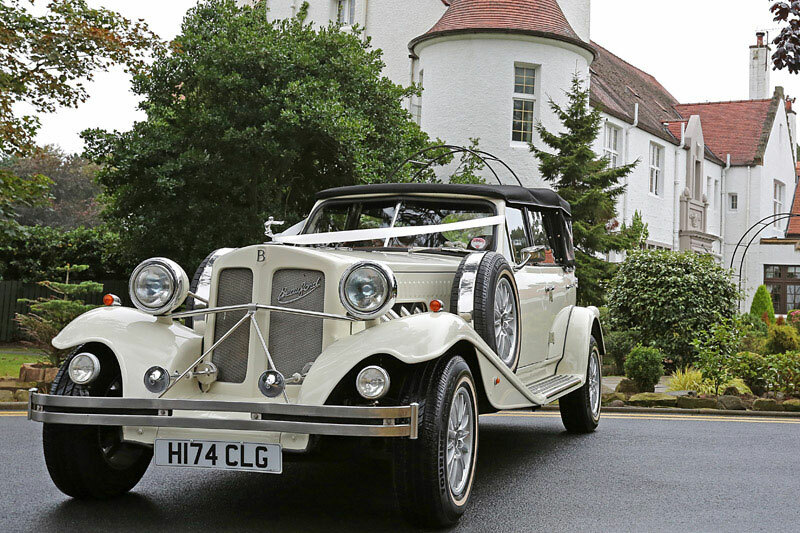 Seating 3 passengers, this stunning wedding car is one of the finest Ivory Beauford in the country. 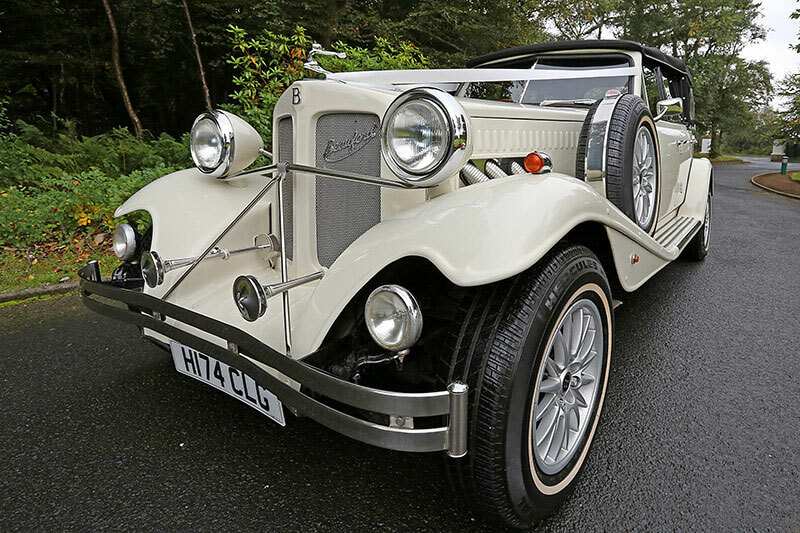 We adorn the Beauford with vintage ivory paintwork, which is appealing to the eye. You can rent the car for any wedding in Paisley, Glasgow, and the nearby areas. The interior of the car comprises of light tan leather. The carpet matches the colour of the leather. 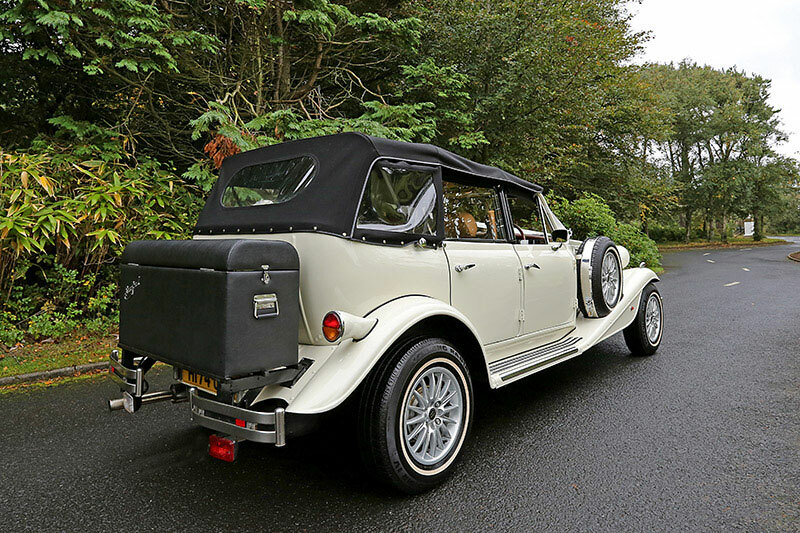 The Beauford Tourer at Glasgow Wedding Cars comes with tan leather interior, walnut dash, and door trims. It pairs perfectly with our Vintage VW Ivory, White Camper or our Baby Bentley and Limousine. We would love you to view all our wedding cars in Glasgow so why not visit us and have a look at our outstanding vehicles. We still have availability for 2017 and are booking for 2018, so please book as early as possible to avoid any inconvenience.